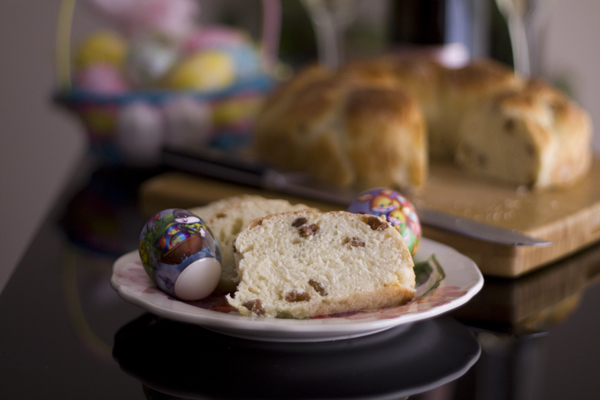 When I was growing up, one of the Easter traditions in my family was baking sweet bread to be served at breakfast on Easter, along with ham and eggs. 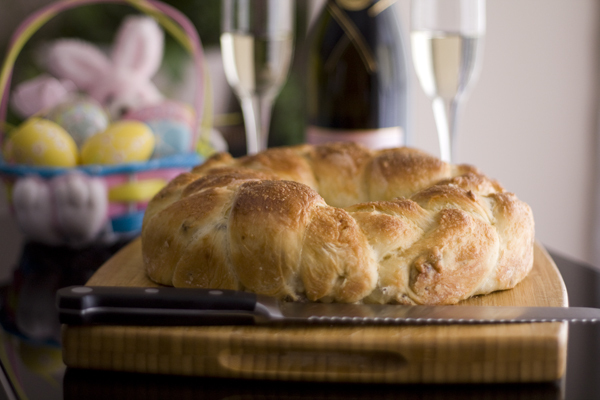 We no longer cook ham, but we decorate eggs and bake traditional Easter bread. 1. Soak raisins in 50 ml of rum for a few hours. 2. Preheat the oven to 350 degrees Fahrenheit. In a large bowl, mix all the dry ingredients together, then add the egg and one additional egg yolk, almond milk, oil and then knead the dough until bubbles form. You can also use a bread maker on the pizza dough setting. 3. 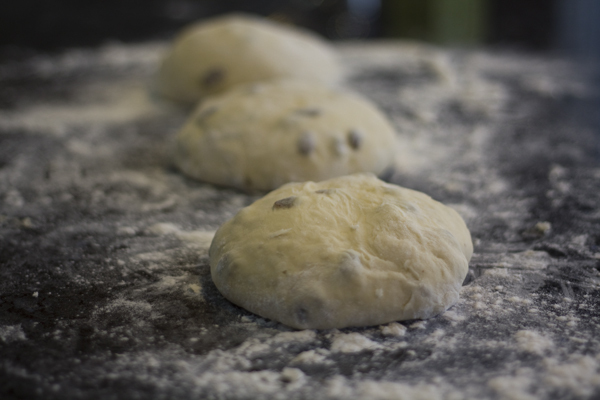 Wait at least 30 minutes or until the dough doubles in size. 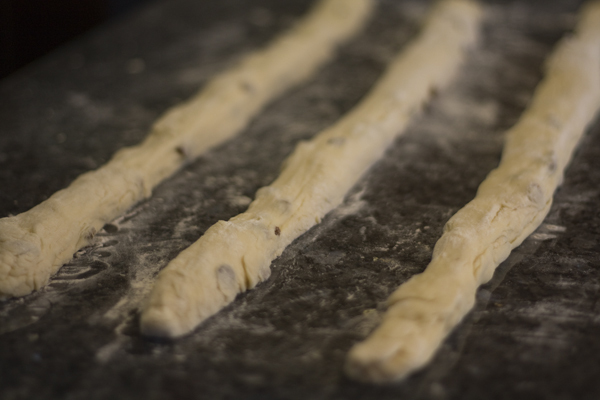 Once raised, coat your work area with flour and use a sharp knife to divide the dough into three equal pieces. 4. 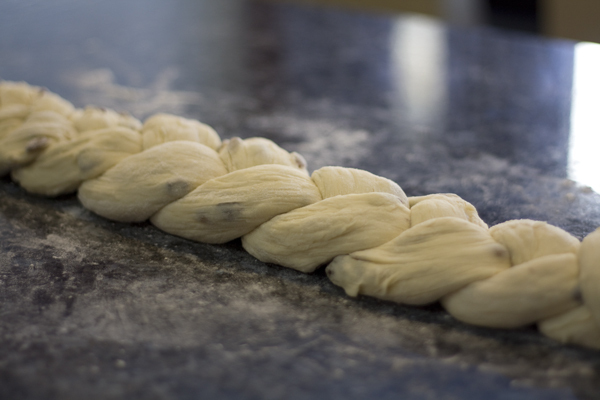 Roll the dough into three long ropes. 5. Braid the three ropes into a three-strand braid. 6. 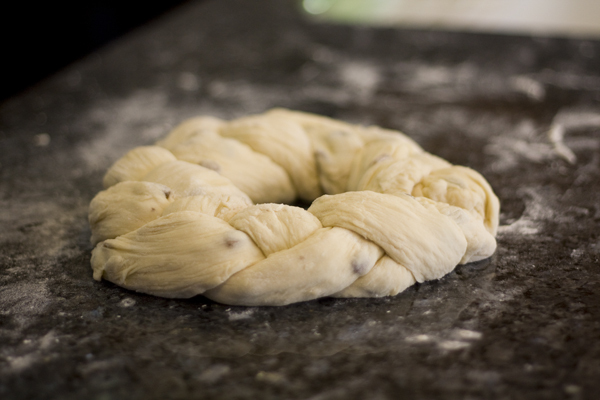 Pinch the ends together on both sides and form the braid into a circle. Transfer carefully into a round pan. 7. Prepare a glaze by whisking one egg with one-half tablespoon of water. Just before baking gently brush glaze over the entire surface of the loaf. 8. 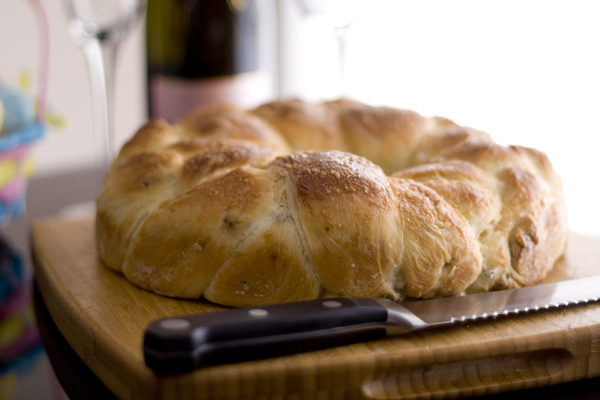 Bake the bread for 45 to 55 minutes or until the bread crust is a deep golden brown.